CORNING, NY – In today’s environment, the machinist is an integral part of a manufacturing team which analyzes processes, estimates costs, schedules production, and programs automated machines which are factors necessary to ensure a continuous refinement and improvement of the manufacturing process. On Friday, Woodhull Raceway and Corning Community College announced a marketing partnership that will see CCC signage appear in various locations on the Woodhull property through the rest of the 2018 season. CCC will focus their marketing on a program that will appeal to race fans and crew members in the pit area- their Associate in Applied Science Degree, Career Program. Students in the Machine Tool Technology program study that portion of the manufacturing arena that produces the parts that go into the products sold throughout the world. 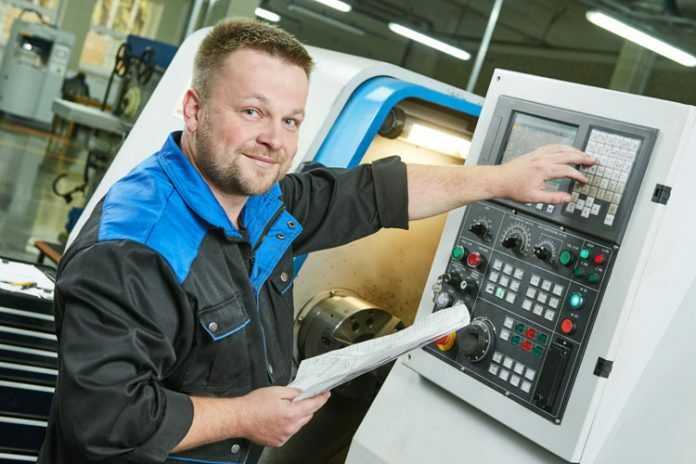 Machinists set up and operate a vast variety of machine tools from basic lathes to advanced computer numerically controlled (CNC) machining centers. In today’s highly automated, high precision environment, the machinist needs a comprehensive knowledge of mathematics, precision measurement, CNC programming, and communication skills. Machinists must understand the working properties of metals such as steel, cast iron, aluminum and the effect heat treating has on their properties. Graduates will be able to write and edit programs; run parts on a CNC machining center; use basic machining equipment and tools; calculate and identify proper tool geometry, feeds, speeds, screw threads, and tapers to machine parts of various materials; design simple jigs and fixtures; read and inspect parts made to drawing specifications; draw parts of various types and process them with MasterCam software. Along with the marketing signage, Corning Community College will also add their name to the list of sponsors that have joined Woodhull Raceway’s weekly Facebook Live podcast “Inside the Bullring” airing on Monday nights at 6:00. Corning Community College in 2016 was named No. 1 two-year College in New York by BestColleges.com. BestColleges.com noted CCC’s high success rate for transfer students, a wide range of degree options and competitive in- and out-of-state tuition rates. CCC offers over 40 programs ranging from the traditional liberal arts and sciences to the emerging new technologies. The College offers associate degrees in Arts, Science, Applied Science and Occupational Studies and Certificates. They can be found online at www.corning-cc.edu.